Spiced Lentil Salad: A Salad I Can’t Stop Eating! | This RD Eats! Spiced Lentil Salad: A Salad I Can’t Stop Eating! I am always on the lookout for delicious salads. Lettuce salads are great and all, but sometimes I like a little something different. I came across this delicious lentil salad on Pinterest and was a bit leery because of all the different spices, but thought I’d give it a try. Man, am I glad that I did. I couldn’t stop eating it. I went back for thirds and only stopped because I wanted to save some for the next day! -My adventurous-eating daughter even had seconds. Lentils are one of the yummiest sources of folate (also know as folic acid) – just one cup of cooked lentils provides you with almost 90% of your daily recommended intake! Folate is critical in the prevention of birth defects during pregnancy, but also functions to support red blood cell production and help prevent anemia, allows nerves to function properly, helps prevent osteoporosis-related bone fractures, and may help prevent dementias including Alzheimer’s disease. Phew! All fantastic reasons to dish up! We served this with chicken and kale salad the first night and for leftovers the next day we mixed it all together (lentils, kale, and diced chicken). Heaven! 3. When the lentils are cooked, remove from heat, drain and place under cold running water to stop the cooking process. Once cooled slightly but still a little warm, place lentils in a large serving bowl and toss with dressing. Add onion, capers, and raisins. If using other add-ins such as herbs, greens, or cheese, wait until just before serving. Otherwise, this salad can hang out in the fridge for a couple days. 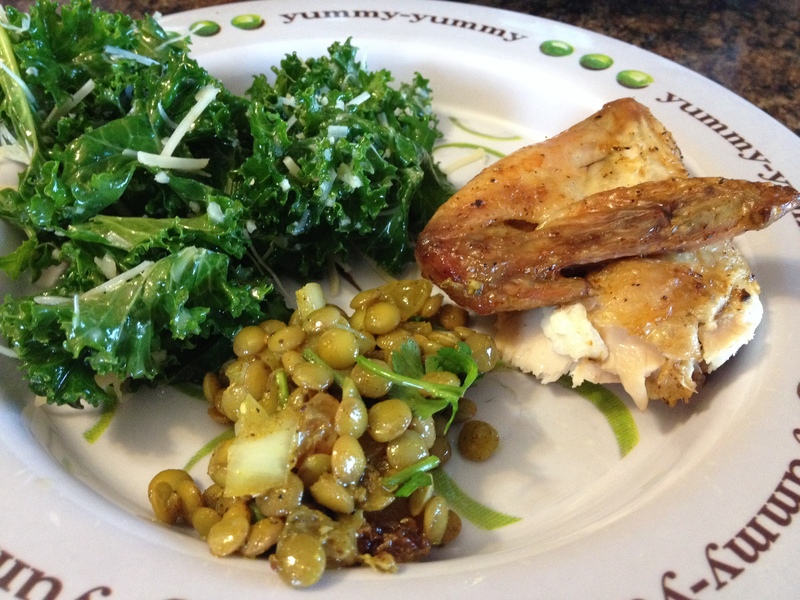 This entry was posted in Recipes and tagged beans, lentil salad, lentils, Vegan, vegetarian. Bookmark the permalink. 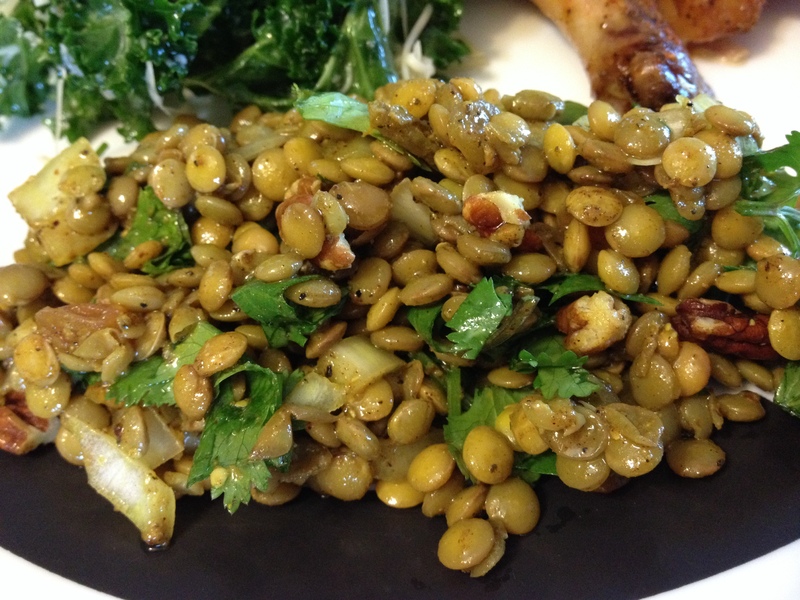 2 Responses to Spiced Lentil Salad: A Salad I Can’t Stop Eating! Pingback: Top 9 Ways to add Beans to your Diet | This RD Eats! That looks amazing! I love lentil salads.